I came to realize something the other day. I had never paid attention to it before but I caught myself off guard. In the car. And it actually made me smile. I’m an avid radio listener when driving. Occasionally, I’ll pop in a CD (I keep important staples like Jonny Lang, Beastie Boys, GNR and NWA in the car at all times) but most days, I leave it on the radio. Thankfully, Louisville has a pretty good station called GenX Radio. Before it changed to it’s Generation X format of 80s and 90s music, Louie played mostly 70s and 80s. I loved Louie. The format change broke my heart. But I’ve learned to embrace it. Luckily, the new station offers some excellent jams. In my Honda, I have one of those little handy volume adjuster doodads on the steering wheel. Handy little doodad. I utilize it often to turn up the volume when the traffic announcement starts. And turn down the volume when Pump Up Jam hits the sound waves (I want to rip my hair out every time I hear that horrible song). But when a song I really like comes on, like one that I love, that takes me to another time, another place… like Don’t Stop Believin‘ or Livin’ On A Prayer or Regulate (What? Can’t a girl dig on Warren G? 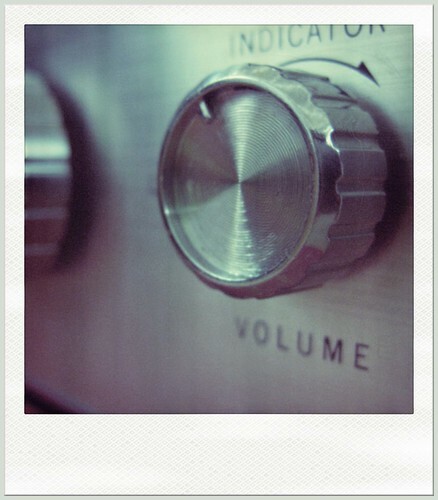 ), I bypass the volume doodad. I reach for the dial – and turn the radio up for that sweet sound. So what gives? Why reach for the dial to turn up the radio? Is it the old school it me? With all these gidgimabobbits floating around like MP3 players and iPods and the Little Skippers miniature boombox, I should be used to just pushing a button or dragging my finger across a screen. But no. In the car, when Eric Carmen starts serenading me, my right hand instinctively reaches out to the dial. And yes, Eric Carmen – he wrote some sick love songs in the 80s and I find him to be rather cool. His song Make Me Lose Control was the inspiration for this post. And if anybody can look me straight in the face and tell me they don’t like Hungry Eyes… well, I don’t know how I would react to such blasphemy. But I’m pretty sure it would end with me screaming “LIAR!” and stomping away. The radio dial. I wonder if this is something that will slowly fade away as technology advances. Sad to think about but look how far we’ve come with phones in the last 15 years. I need to have a dial. NEED. Just thinking about this makes me want to get a transistor radio. And sing about it with Van Morrison down in the old mines. Ah music – such a sweet, sweet thing. 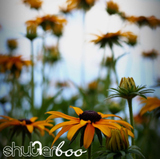 ~ by shutterboo on June 10, 2010. My GOD, I love Eric Carmen…yay! I loved him since he was the lead singer for The Raspberries. My brother had the album and I loved it. “Hungry Eyes” is a classic…but how about “All By Myself…” of which he did the BEST version? Much better than Celine, that’s for sure. His music was a part of my childhood; granted I didn’t see Dirty Dancing until I was a bit older (thanks to Jackie Sexton) but I remember turning up WDJX and dancing to Hungry Eyes with Sam and Kirstie. Like it was yesterday. LIAR!!! (and this is me walking away). I never noticed it before, but I think you are right. I have different ways of controlling volume based on the situation. Weird. I’m going to study this a bit. Yes… I gotta little gangsta in me. I love funk and rap from the 80s and 90s (oh yes, Roger & Zapp). It started getting a bit too something for me in the oughts but every now and then I’ll bust a move. First – Sorry my Mazda is an Eric Carmen free zone. B – You DO like to mix it up with the tunes, don’t you? Saucy. I’d like to get a peek at your iPod. 3 – I postulate that at some point our reduced use of things like knobs will cause our thumbs to become obsolete. If we’re not careful, they will not appear down the road in our evolutionary chain. 3.1 – Chimps, however, will retain their thumbs because they don’t fool with such nonsense as switches or sliders (or Eric Carmen). And then Planet of the Apes will be Science Fact not Science Fiction. In closing, this has to be the most random comment I have ever posted. Hope you’ve enjoyed a little bit of the crazy in my head today. And thank you for the momentary diversion from the RFP that would not die. 3. Now I’m walking away. Raspberries/Carmen – Go all the way…great song and very knob turn-up-able. This is such a great read SB! I like my knobs, I really think they offer better control than the slidemajigs, but I *am* kinda old school and proud of it. I mean, technology is cool and all, but not everything is better. For instance, without the advents in technology, I wouldn’t have been able to google Eric Carmen and listen to Lose Control. Technology good. Then again, there was no warning to say ‘don’t do it, Eric will melt your speakers’. Technology not so good.